The dual tower heatsink has a combination of 2 sets of heatsink towers with 2 sets of MasterFan MF120R RGB fans. The uniquely designed heatsink allows for a bigger and more spread out surface area, while the MF120R RGB fans give added air pressure from the outside and inside the heatsink to generate massive cooling performance. Add up to 3 fans to accelerate the air pressure and removal of heat with the 'Push and Pull'. 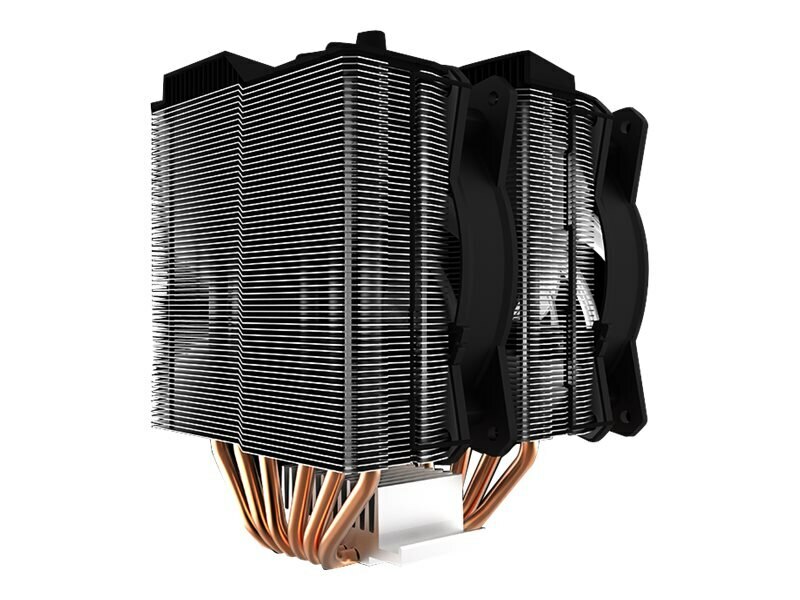 One fan is placed at the front to pull cool air in, the second fan is placed in between the heatsinks, with the option to add the third one to maximize the heat pass-through.